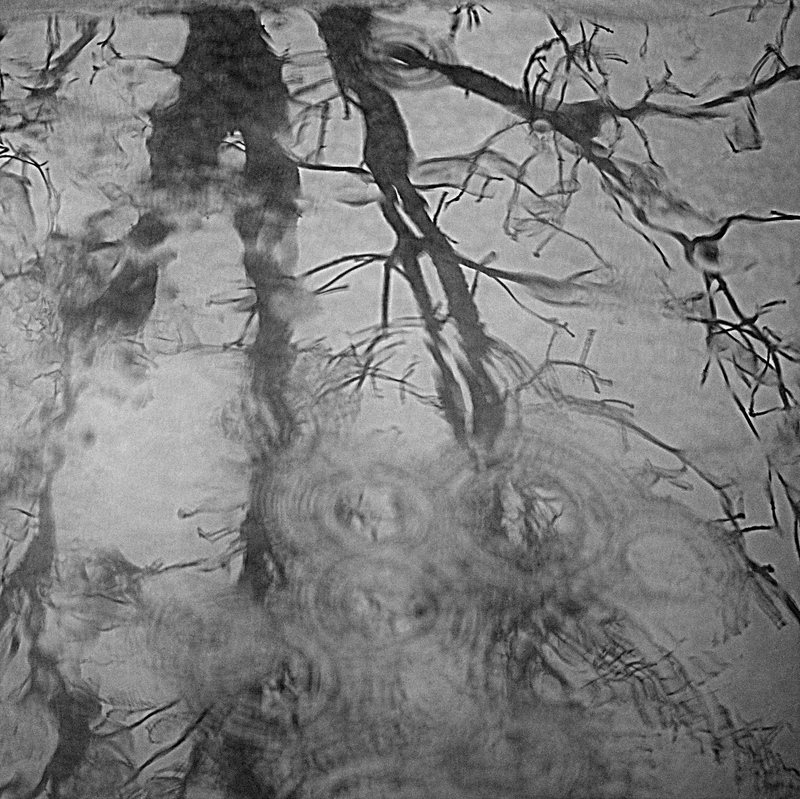 I like the way the rain drops distort the reflections of the trunks and branches, as well as the contrast between circulat and linear patterns. I like your choice of black and white. I think it enhances the patterns. You are very kind. Thanks for commenting! Yes, I like his work. Black and white makes it a much more evocative photo. It brings up the rain, the cool, the not very summery feel. I’ll take the cooler, rainy days! Plenty of summer heat on the horizon! Yes, it will be upon us again in a few days. Thanks. I do like the abstract look.